MUMBAI: French DJ and record producer, DJ Snake shot the video of his latest track Magenta Riddim in Telangana, India in March 2018. The video pays tribute to the massive influence Indian music has had throughout his history and latest festival banger. Since the time of its release, the track has been in the news for being the ultimate dance number. The track is now widely being used by fans who are editing the videos, creating memes using Sridevi from Naagin, Jethalal Gada and Daya ben from the famous TV show Tarak Mehta Ka Ooltah Chashma, Amitabh Bachchan from K3G amongst many others. The song is also creating a buzz amongst dance enthusiasts and digitally a lot of videos are being shared to recreate an Indian version of Magenta Riddim. Interestingly, DJ Snake shared the edited video of Jethalal Gada and Daya Ben on his official Instagram page which grabbed major attention by the fans of the popular TV show. The edited video has received over 650k views on DJ Snakes profile. The song has been trending in India since the day of the video release and has been #1 on Shazam India charts for 2 consecutive weeks. Directed by Gal Muggia and Vania Heymann (the duo behind Coldplay’s Grammy Award-nominated video for Up & Up), the Magenta Riddim video follows a squad of firefighters who can’t stop dancing—the pride and joy of their small Telangana town. 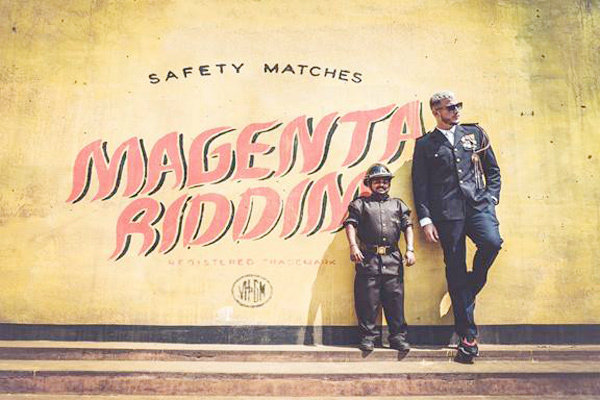 Much of the talent and crew involved in making the Magenta Riddim video are local artists who’ve worked on legendary films in the realm of Tollywood (the Telugu-speaking film industry). MUMBAI: Percept Live recently announced the homecoming of Asia’s largest dance music festival, Sunburn to Goa in collaboration with Klassique events represented by Shailesh Shetty. After a hiatus of over 3 years, the festival giant will be making its grand return to its birthplace. MUMBAI: Percept live, the wholly owned subsidiary of Percept Ltd, has announced a collaboration with Goa based nightlife and promotions giant Klassique to co-promote all Sunburn events in the state.